Defending champions Saracens will begin their European Champions Cup title defence against Northampton Saints in the opening round of the 2017/18 season. 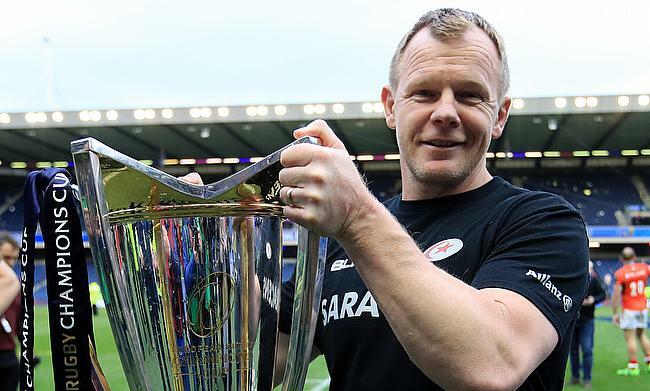 A title win for Mark McCall's men will see them become the second team after Toulon to claim a hat-trick triumph. The tournament will kick-start on 13th October when Ulster host Aviva Premiership runners-up Wasps at Kingspan Stadium while Leinster, Racing 92, Harlequins, Bath and Exeter Chiefs set to host Montpellier, Leicester, La Rochelle, Benetton and Glasgow Warriors respectively in the following day. Pro 12 champions Scarlets will make a trip to Stade Felix Mayol where they face Toulon on 15th October, which will also see clash between Castres Olympique and Munster. The round will come to a conclusion with Clermont Auvergne travelling to Liberty Stadium to lock horns with Ospreys.